Platted as an urban square in the early 1860s, Lafayette Square served as Camp Hoffman, the barracks for the 3rd Maryland Infantry from 1861 to 1865. After the Civil War, the area around the square developed rapidly, becoming the centerpiece of a prosperous urban neighborhood. 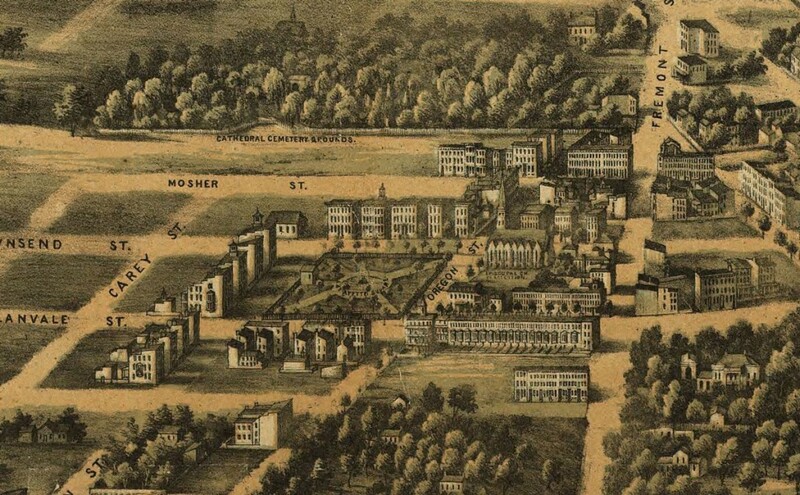 Read on to explore the history of Lafayette Barracks, learn more about our archeological investigation into the Civil War history of Lafayette Square, or learn more about the history of the Harlem Park neighborhood. These early steps towards development, however, were brought to a sudden halt by the start of the Civil War in April 1861. When the Civil War began, Baltimore’s early resistance to Union troops and the critical importance of Maryland as a border state adjoining the District of Columbia encouraged the development of a ring of fortifications and encampments all around the city. Courtesy Enoch Pratt Free Library. At Lafayette Square the first Union troops arrived by October 1, 1861 and established Camp Hoffman for the Fifth Maryland Infantry Regiment, under Colonel William Louis Schley. The Camp was named after the Hon. Henry W. Hoffman, who was the collector for the Port of Baltimore. The Barracks served several regiments during the four years it was in use. 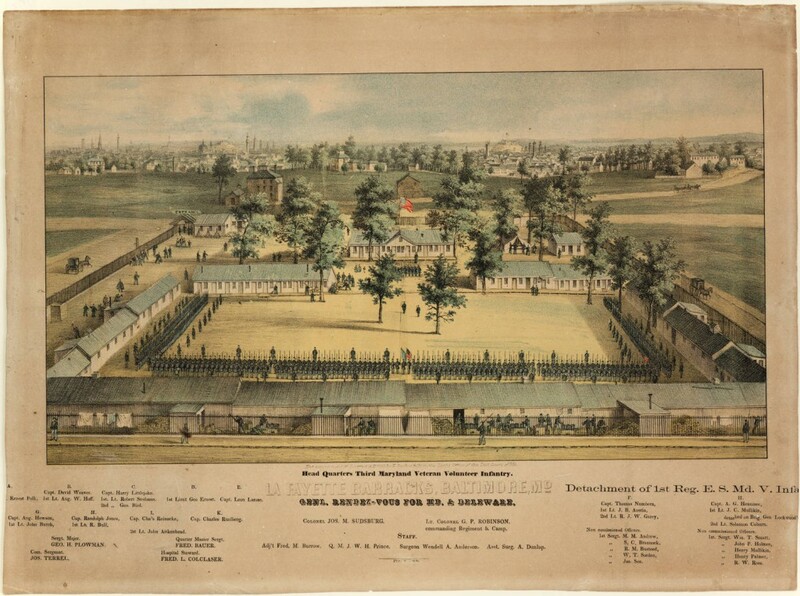 At least five Maryland regiments were stationed at the barracks, and several other state regiments were stationed there as well, including the 5th New York Artillery (1862), and the 8th New York Heavy Artillery (1864). “Again at Lafayette Square, in Baltimore, Maryland, the barracks was in the form of a square; the men, to the number of about 1,000, occupied three sides, and the officers the fourth. The hospital was directly in front of the officers quarters. The occupation of the park by Union troops ended in October 27, 1865. The encampment’s frame buildings were removed before the end of the year and the city began to try to reestablish the Square as a park.